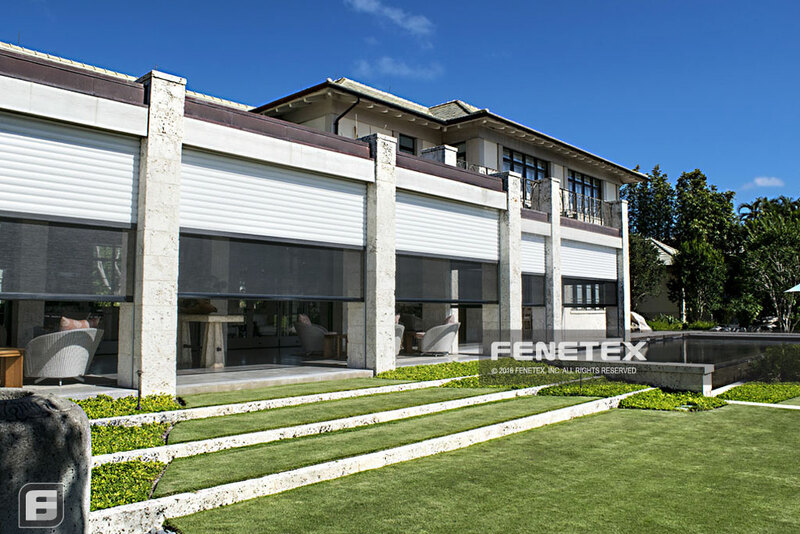 Fenetex offers industry leading retractable screens for commercial and residential customers from insect screens, to shade screens, to clear vinyl screens, and even screens for hurricane protection. 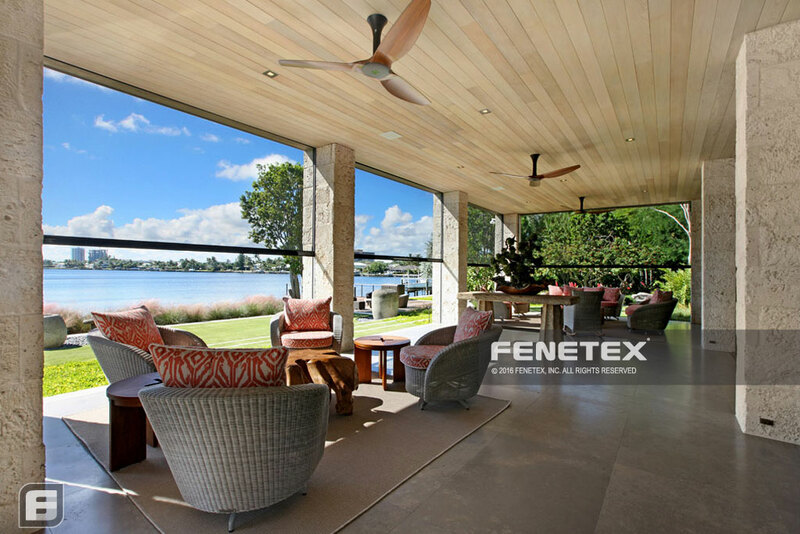 Becoming part of the Fenetex professional dealer network gets you many benefits. This includes access to dealer pricing, instant online ordering, and the full support of the Fenetex team. With a broad range of standard products offered at great prices, and the capacity for custom work as required, we strive to be the only company you need to work with to exceed your and your customer’s expectations for what a retractable screen should be. The feedback we get from dealers is that Fenetex screens have the lowest occurrence of service calls of any retractable screen they have used. Several elements come together to make this happen. We train dealers on how to use the right tools and the right steps to install the screens; we build a screen that is precisely manufactured to the specifications a dealer provides so the screens fit as expected; and we design and manufacture our screens and components from the perspective of what can we do to make them better rather than what can we do to make them cheaper. We also understand continuity is important and even as we make changes and improvements, we keep the core elements compatible so that a screen ordered today can be remade 10 years from now, just like a screen ordered 10 years ago can be remade today. Fenetex is a people first company. We aim to be fair and easy to work with and will go out of the way to help our dealers and customers. Go ahead, do a Google search for Fenetex. You won’t find much in the way of complaints or negative reviews about our company. This is simply because we have had very few problems over the years with our screens or customers. Companies that do business with us know us as a quality driven, honest, stable, and experienced supplier. We build long term relationships with our customers, our dealers, our employees, and our vendors. Fenetex is pretty savvy when it comes to sales and marketing; as part of our dealer network we’re going to help you develop your local market too. A good start is a good website (our media kit is available by request) and partaking in our SEO program, this will drive local business to your website, it’s what you need in today’s world. We also go old school and have printed materials that we share with our dealers and for a small fee, these can be customized with your contact information and logos for mailings and trade shows. We’re considering an annual dealer meeting, where members from our executive, sales, and marketing teams share information to help you grow your business. Let us know if that would be of interest to you. Fenetex is a manufacturer with a growing global footprint, but did you know we also sell and install our products in our home area? We do this so our team members will have all the same installation experiences a dealer has. 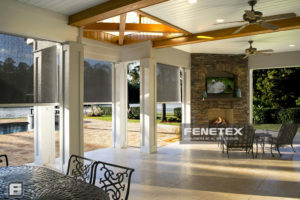 When you talk with someone from Fenetex about an installation or technical question you’re going to be talking to someone that has done the work, can relate to the challenges in the field you need help with and will be able to answer your questions and provide guidance to get the job done right. We love to train dealers and installers. Let’s look at the big picture—if you are successful, we are successful. If you can buy a screen from us and install that screen in under an hour and never have to do a warranty related service call, what does that mean for your bottom line? Well it means a lot to yours and it means a lot to ours too. Training is a win win and that’s why we take it seriously. We’ve found the best way to learn or to teach is to do the work. That’s why our training is hands-on in-the-field training, your staff can come to us and observe a real installation and have full interaction with Fenetex installers or for a minimal fee to cover expenses a Fenetex installer will travel to you to help with your installation. Online we have various videos and a technical library with lots of information and we encourage you to explore the website and read or download the various documents for reference. By phone we have full service support available to help with design integration, ordering, and installation. Our lead time for standard production screens for an average sized order is 10 business days from the time the order is submitted to the time it ships. Sometimes things are a little faster, sometimes things are a little slower. The fastest way to order and receive screens is by using the online ordering tool. Once you’re set up with an account, you can enter an order and send it into production from your office or mobile device. Imagine measuring and sending an order into production from the field within a few minutes – now that’s fast. Fenetex understands that mistakes happen, and we have created a reward program to help you if you make an ordering or measuring error and need to reorder screens or other components. As a dealer, you will accrue points based on a percentage of your sales. These points can be used to offset the cost of these mistakes. Please inquire for more information on how this program works. 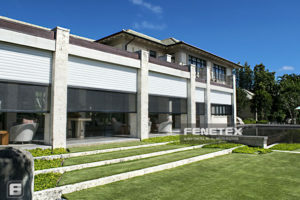 All Fenetex screens are built to order. You can choose any dimensions, operator, fabric, or color allowable within the ordering system and this will be what we consider a standard screen. Now if a project comes up where something needs to be customized, that isn’t a problem. Some common custom requests we see are for powder coat colors, specific fabrics, and printed graphic screens, or a screen that is larger than standard sizes. These are all available for an additional fee. We have a rigorous Quality Assurance (QA) program that works very well to catch any production errors before they leave our facility. Here’s an idea of how the system works: When you place an order into your online account and submit that order for production an automatic process converts this information into cut files for automated machinery. Most of the material processing we do is either automated or semi-automated. In general, the manufacturing process holds very high tolerances, but, it’s not perfect and that is why dimensions are manually taken and materials are visually inspected prior to shipping to ensure screens and other components, are within production tolerances. All of this data is stored and retrieved by the screens’ unique serial number. If there is ever a question or an issue, we have the information on hand to resolve it quickly. 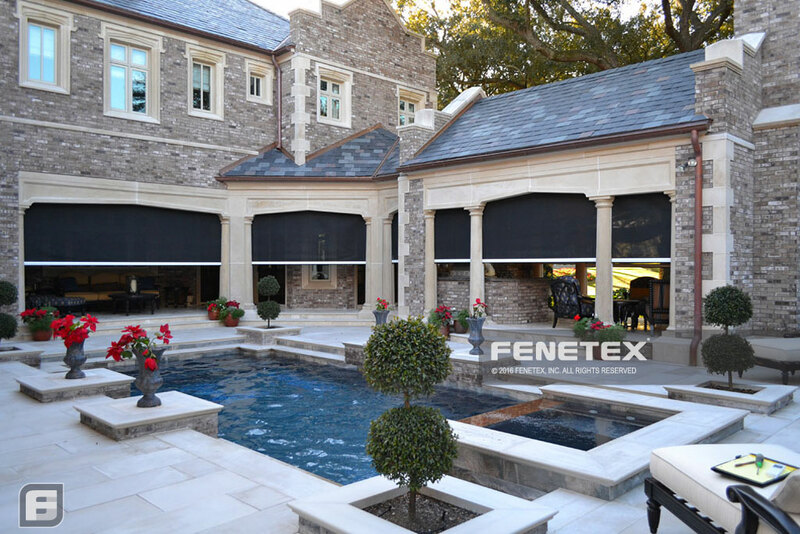 Fenetex screens are manufactured in the USA, as you order them in our plant in Jacksonville Florida. The largest percentage of our materials (aluminum and most fabrics) come from our supplier partners that are manufacturing their products in the United States. There are some components that come from overseas, things like motors and fasteners and some other small items that are challenging to source domestically. What are you looking to improve with a new partner? How many retractable screens did you sell last year? 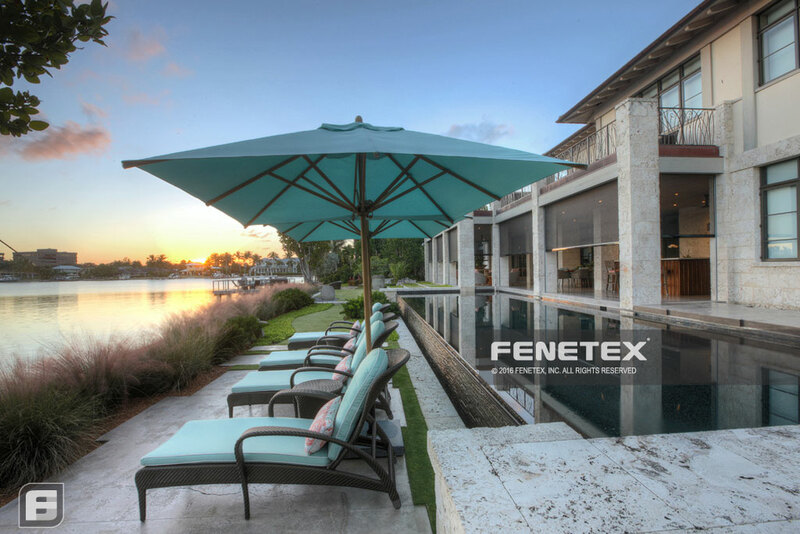 Why do you want to become a Fenetex dealer? When are you available for Fenetex training?